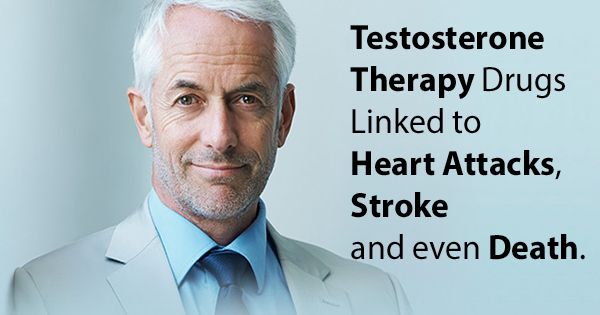 New medical research show that men using testosterone therapy could increase their risks of heart attack, stroke and even death. This includes various prescription testosterone treatments which includes shots or injections, topical gels, and skin patches. If you have taken or are currently taking one of these prescription drugs, you may be entitled to financial compensation. And we may be able to help you. Please call us immediately at 1-877-392-4878. It is important that you are aware of the recent FDA warnings regarding the dangerous side effects of these drugs. Unfortunately, many drug manufacturers promote the notion that these drugs are necessary for your overall well-being as you age. But this is often not true. There are many common results of aging which can improved with more natural means. And, unfortunately, there is a lot of consumer confusion regarding male testosterone levels and sexual performance expectations hyped up by marketers. The drug companies know this, and are taking advantage of false consumer expectations.